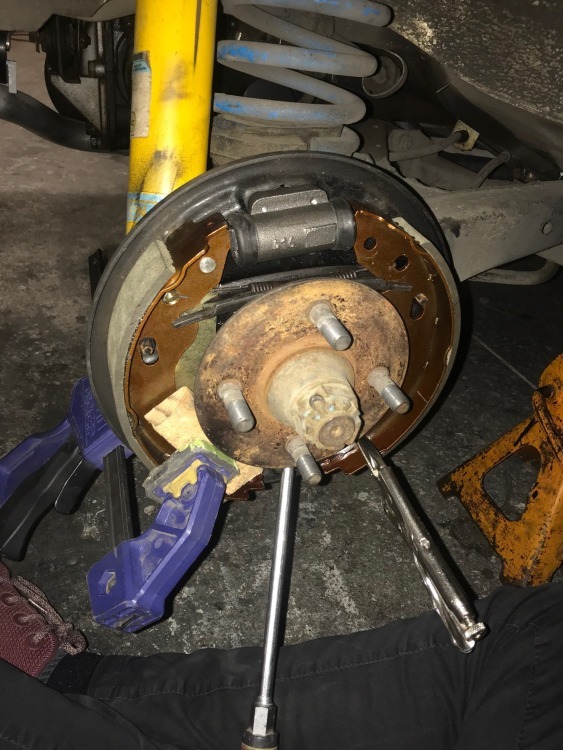 Unfortunately, I haven't had the time to work on my 02 as often as I would like, but over the past week or so I have managed to make the time I needed to work on my rear brakes which have been needing replacing. Both wheel cylinders have been leaking so I began to figure out what I wanted to do. After looking at the options of rebuilding my rear brakes with the OEM tii parts or doing a possible rear disk brake upgrade, I decided to go with the OEM tii setup. I went with this because if I upgraded the rear brakes I would need to do the same with the front for it to match, and it didn't seem like the best financial decision at the time to go with new disks for each wheel. 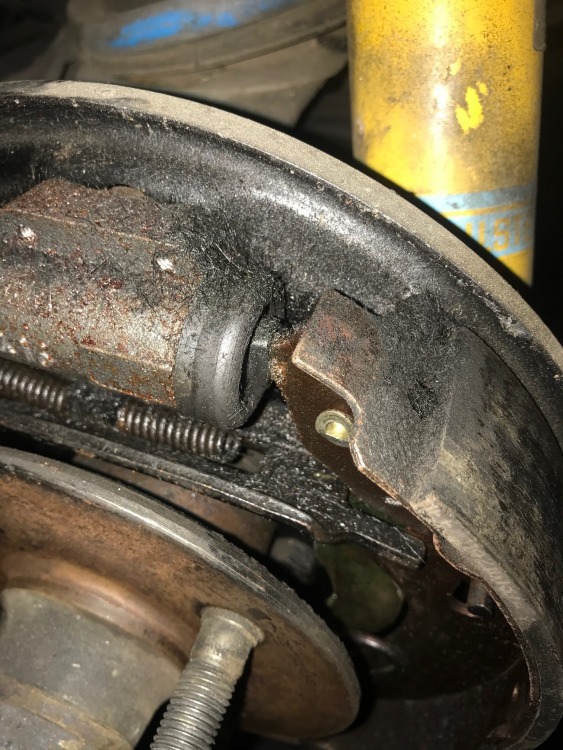 I still need to file down the edge of the new brake shoes on the bottom and top edge, as well as bleed the brakes after replacing the wheel cylinders. 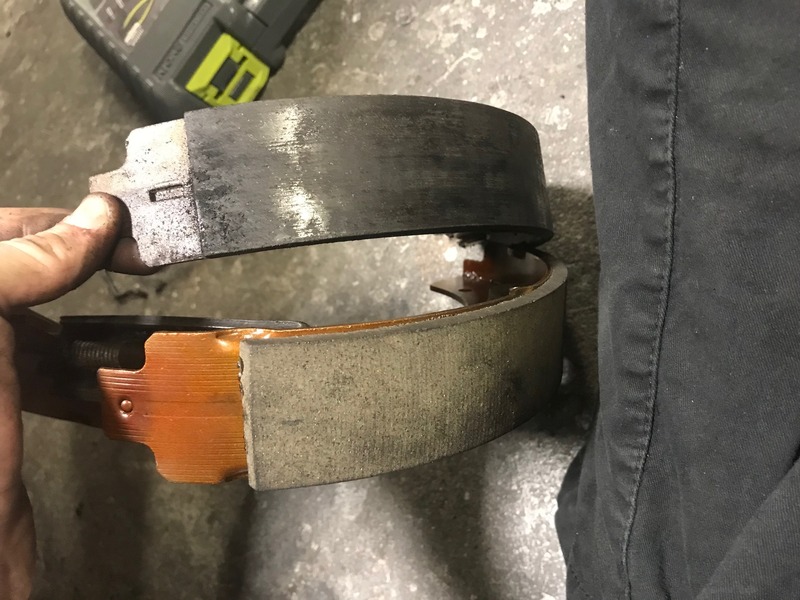 This was my first time working on brakes so the first side (passenger side) took far longer than the second side (drivers). I had difficulty reinstalling the spring but after some trial and error, I found that clamping each shoe in place and using vice-grips to wrestle the spring into place was the best option to get it seated correctly. Next on my list, I will be swapping out shocks, maybe springs, or just going with coilovers instead. But I will need to do some more research first to make a proper decision on this, I'm not certain what springs I have at the moment, how long of a wait I should expect for Bilstein B8 front strut inserts/ rear shocks to be back in stock, and don't know pretty much anything for the coilover option. What is your reason for filing down the edge? Do you mean the friction compound? You do know the shoe fit is adjustable, right? What brand shoes did you buy? Tiis will stop very well with the stock setup. The fronts are the same brakes used on the Bavaria. I put the W spring in the pin holes and then used a screwdriver assisted with a floor jack to coax the center into place! ahh, had a feeling I missed a spelling error somewhere in there, I filed down the edge because from what I have been told the sharp edge it came with is not ideal. And yes, friction compound. I haven't gotten to the adjustment, bleeding, or handbrake adjustment yet, but that should be done soon.